The 90s may have not been seen for over 15 years now, and they brought quite a lot of new things to the planet. This included PCs, CD players, and many new sets of technology that we only see in museums and such like. CDs and cassettes were a big thing in the last century, and a lot of us collected huge amounts of them, and sadly, not many players exist that use them any more. 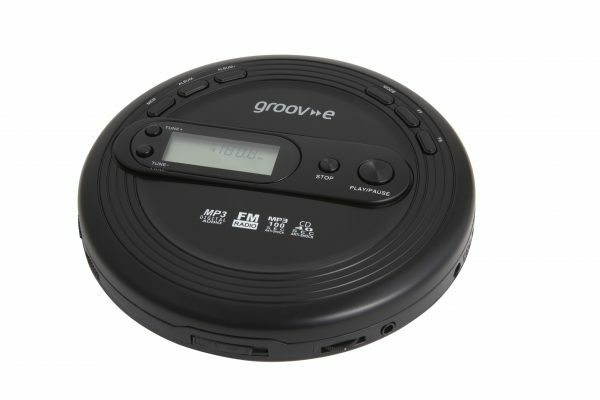 Groov-E is addressing exactly that problem, and giving us a flavour of the 90s again by introducing their range of Retro gadgets. 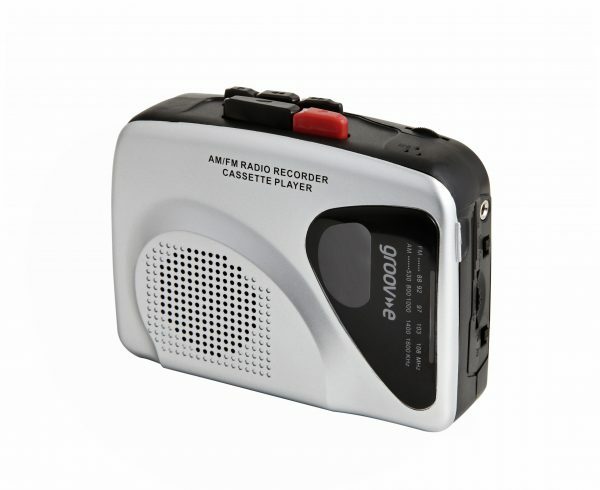 This may look like a standard retro cassette player, but the built in speaker, the ability to perform one touch recording, as well as the included AM/FM radio make it quite a 90s device. And the fact that it runs on a couple of AA batteries ensures that you will not be relying on anything too modern to keep this device going. Time to hit the loft to get all those cassettes out! It comes in Silver, and retails for only £17.99. Giving this a play only makes me want to jump on my skateboard and ride into the distance, humming to ‘Power of Love’. This one is a definite blast from the past. Featuring an LCD display, and anti-skip protection, this reminds me of those days I would try and run with a CD player, and wish that anti-skip protection was better. A couple of AA batteries keep this running, but more importantly, it comes with the ability to play CD-R/CD-RW CDs. A battery display lets you know when you need to replace those batteries, and all this comes at only £24.99. Available in silver, black, blue and red. And what if you want a bit more from your CD Player? 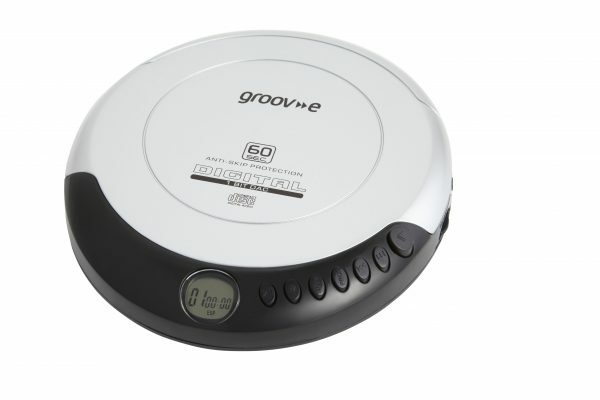 The one-up in the series from Groov-E throws in a FM radio, as well as memory to add CDs with up to 99 MP3s on them. Programmable tracks and anti-skip is great, but what really gives this oomph is the Super Bass. Once again, this is powered by a couple of AA batteries, and is available in silver and black.